Latex pillows are coming into the limelight as one of the leading pillows for helping people suffering from neck, back, and shoulder pain. As a matter of fact, some of the latex pillows that were not originally designed for alleviating pains still provide the remedy since they are characteristically soft, comfortable, and supportive. The beauty of it all is that later pillows allow you to have a full night rest at a position that is most comfortable for you. The caveat, however, is that there are tons of low-quality latex pillows out there on the market. This is often the case with products that are high in demand. Although quality is one of the paramount features to look out for when shopping for a pillow, it shouldn’t be the only thing to worry about. You need to consider other factors like shape, size, firmness, and manufacturing qualities. For instance, you may have a higher preference for pillows made by green companies than those from other manufacturers. Green company beddings often come with a minimal negative impact on the environment. For the record, this article is not meant to pinpoint a particular pillow or brand as the best. Rather, we will let you understand factors such as buying frustrations, benefits, and importance of owning latex pillows. 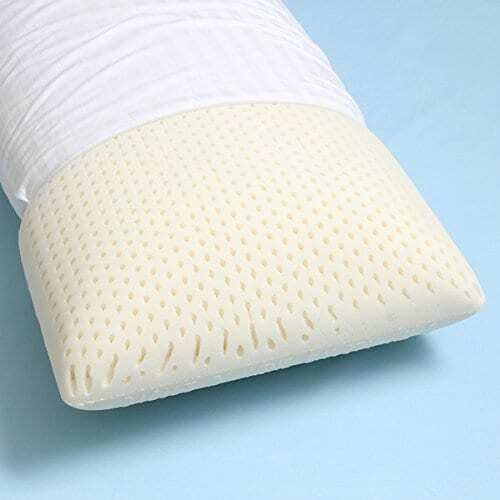 What Are the Materials with Which Latex Pillows Are Made? What Are The Advantages And Disadvantages of a Latex Pillow? Who Will Enjoy The Latex Pillow The Most? How Do Latex Pillows Compare to Memory Foam? How Do I Keep a Latex Pillow Clean? Beautyrest extra-firm bed pillow from Simmons guarantees a plush night's sleep for any sleep position. It is a 100 percent latex bed pillow encased in a sateen zipper cover. Beautyrest provides a soft, cozy feel yet with extra-firm support. It supports a healthy and clean lifestyle with its antimicrobial properties. Beautyrest is a machine washable latex pillow that will give your bedroom the cozy effect you crave. Alpha Latex is an Asia brand specifically from Thailand. This pillow is specifically made to cater for back and side sleepers. Its unique shape is deliberately designed to support the neck and head in a proper cervical position. The pillow has an ergonomic design that makes it to instantly compress to the body shape to guarantee optimal support and comfort for your body throughout the night. Just like most latex pillows, Alpha Latex also allows airflow channels for a cooler night’s sleep as well as body pains and snoring reduction. Cheer Collection provides absolute satisfaction and comfort that is characterized by a 100% pure natural latex pillow. Although it may need constant fluffing, Cheer Collection is highly responsive with its consistent, plush density that is perfect for back, stomach, side or pregnant sleepers. It comes with a convenient zipper that makes it easy for machine washing. The company offers no-questions-asked money back guarantee. 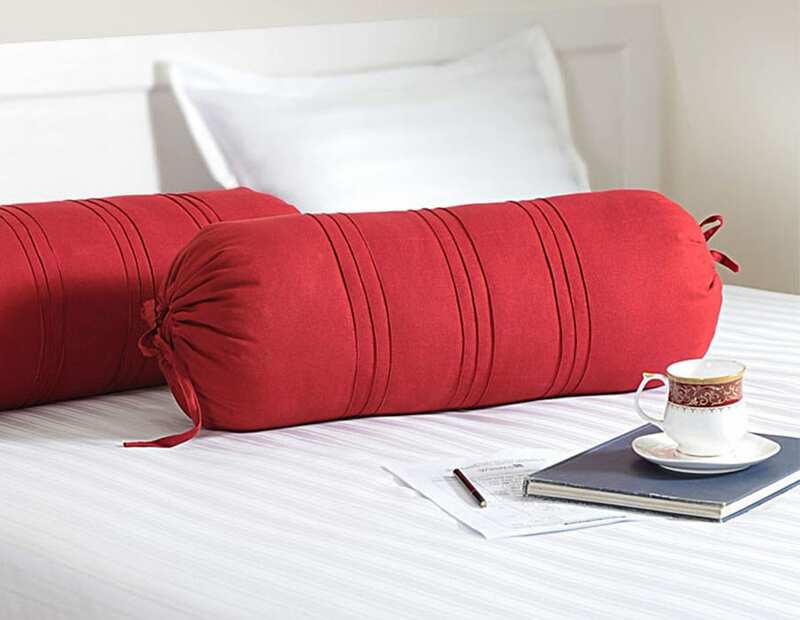 This pillow is adjustable to fit into the needs of different sleepers due to its shredded feature. It has a responsive, plush, and shapeable feel that make a night rest a night of sleep in paradise. This pillow is created to suit your spinal and neck alignment. PureTree Natural Shredded latex comes with a 100% cotton casing that is smooth and has a luxurious feeling on the body. This casing allows for added durability and easy machine washing. Talatech Latex Foam Pillow is a medium density pillow made from 100% Talalay processed latex. It was designed particularly to the needs of all sleep positions. This may, however, depend on body size and personal choices. Talatech has highly responsive contouring and support, which makes it the preferred pillow by consumers. Just like most solid core foam latex pillows, Talatech has a series of breathable channels that ensure you a cooler night’s sleep. The polyester-and-cotton blend case is removable and machine washable, and with a 230-thread count, that also allows for excellent airflow. No heat sink all night! Long lasting and durable! OrganicTextiles All Natural Latex Pillow is available in different texture from soft to extra firm sleep surfaces. 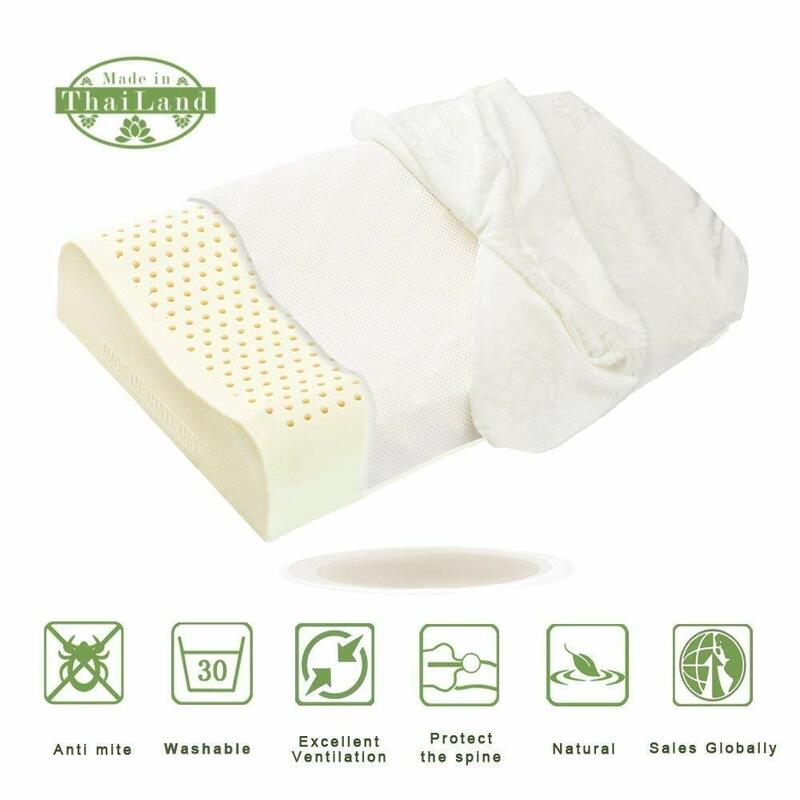 A 100% natural latex pillow with features such as cool air channel flow, hydrophilic organic cotton casing, hypoallergenic and antimicrobial. It was made specifically to help address discomfort in the neck and spinal. OrganicTextiles pillows are designed to minimize pressure points and respond specifically to your unique body weight and shape. It comes with a removable organic cotton casing. The hypoallergenic and antimicrobial features prevent harmful bacteria or mold from growing. Latex is made straight from the sap of the rubber tree and they are sometimes infused with synthetic petrochemicals. In some instances, it can be made from a mix of natural and artificial materials. Latex pillows are made from different variations of these materials. The material component determines the quality. The latex used for making pillows is produced in different ways. There is a process referred to as the Dunlop process. This process is comprised of stirring, some molding, and then finally baking. While the process is ongoing, a few of the latex settles at the bottom of the mold, making Dunlop latex to be less uniform. It generally feels firmer. There is another process that is known Talalay. The process involves first, the freezing of the latex and then, baking of it. Unlike the Dunlop process where a few moves to the bottom, the Talalay process does not allow for the sediment to form. This is due to the freezing and baking involved in the process. As such, the process produces a latex that has more consistency, feels lighter, and generally softer with more bounce. The two types of latex can work well for pillows. It just that the Talalay latex gives a better output, making it the most preferred latex for making pillows. Of course, it is common to see latex being tagged natural. Generally speaking, these terms do not have any consensus meaning across and among stakeholders in the industry. Thus, we often recommend that shoppers who are searching for latex pillows should look out pillows made with latex that is certified by the Global Organic Latex Standard (GOLS). This endorsement is the most widely accepted and generally agreed with latex certification. One-piece: This category of pillows consists of those with a single chunk of latex. Shredded: This category of pillows, on the other hand, consists of latex cut into several pieces to give the pillow shape. Shredded latex pillows are usually lighter and do not have a consistent shape. This explains why they can be formed into varying shapes far more than a one-piece pillow. If made with a zipper, you can adjust a shredded latex pillow to the desired size. Molding ability: Shredded latex pillows are adjustable. They can be shifted around the cover form different shapes depending on your needs. One-piece latex pillows, however, has a constant shape that are not moldable. Fluffing: Shredded latex pillows can be fluff to even out its content to your desire. On the other hand, one-piece latex pillows do not require fluffing. Weight: Latex pillows are generally heavy. In this case, if we want to compare, a single-piece latex pillow usually is heavier than shredded latex pillows. Are you looking for contoured or shredded latex? What size is suitable for the purpose for which you need the pillow? The above are the critical factors you need to consider. Factors such as the style or color may not be necessary as they may not have much impact on your sleep. You can adjust such factors just by changing your pillowcase. Pillows have several uses. The purpose of buying a pillow can be for sleeping in your bed or for sleeping while traveling. The purpose for purchase will definitely affect your choice in terms of firmness and sizes. The latex pillow you will need for sleeping while on a tour or camping will definitely be different from your normal sleeping pillow. More also, you need to consider your sleeping position even if you’re buying a pillow you will need to sleep on your bed. Each sleeping style, stomach, side, or back, has a slightly different requirement for a pillow. The required height and size of the latex pillow for someone who sleeps on their neck is quite different from those who sleep on their side. Therefore, it is imperative that you consider the reason for buying your latex pillow and your sleep position before making your final buying decision. Ordinarily, latex is a natural polymer obtained from the sap of rubber trees. However, this natural latex is not available in abundance. In fact, a majority of the latex out there are made in the laboratory. No matter how conscious and meticulous we may have tried, the quality of artificial latex cannot compare to that of all-natural latex. The reality, however, is that it’s far easier to use than artificial latex, especially in the aspect of pillow making. To put it plain, what we often referred to as organic latex is still man-made in the real sense of it. But, they are made under a strictly regulated process. This process does not involve the use of synthetic latex chemicals, which are used in the manufacturing of latex for synthetic latex pillows. In actual fact, many of the synthetic chemicals may not be harmful; it’s just that people usually preferred a pillow that is free of chemicals. Both organic and artificial latex pillows can be categorized further into 2 main types. These are shredded latex pillows and the contoured latex pillows. Each of these broad categories has its benefits. The first category, which is the shredded latex pillow, is less supportive for the neck. They are packed full of shredded pieces of the latex rubber which are very fluffy. Despite being fluffy and less supportive, they are the top choice for people looking for flexible pillows. The can easily fit into different sleep positions, making them the ideal pillow for people who change position frequently while sleeping. The second category, which is the contoured latex pillow, is firm, sturdy, and provides adequate support for the neck and head region. The part made for the neck is somewhat thicker than that of the head. Although it might take extra shopping time and efforts before you can arrive at your actual choice, the effort will be worth it in the end. The size of your pillow is also an important factor to consider when shopping for latex pillows. In this aspect, you need to consider the length and also the height of the pillow. Here, you need to consider the position you prefer to sleep in before finally deciding on the height of your pillow. If you’re a back sleeper, you need a pillow with medium height. On the other hand, if you’re a side sleeper, a slightly higher pillow may be suitable for you. This makes it easy for the portion between the shoulders and the head to get enough support. Lastly, if you’re a stomach sleeper, then you will need the lowest pillow height of all. Ideal, it is better to have multiple pillows of different heights. This is good for you especially if you’re someone with multiple sleep position. It will be easy for you to swap pillows without worrying about neck or back pain afterward. If you can afford multiple pillows, then you can consider buying a shredded latex pillow that you can easily adjust. Latex pillows offer numerous benefits. It allows you to sleep more comfortably compared to pillows made with memory foam. Latex pillows also hold its temperature much better than memory foam does, thereby dispelling body heat rather than retaining it. So, you won’t just wake up prematurely due to heat. 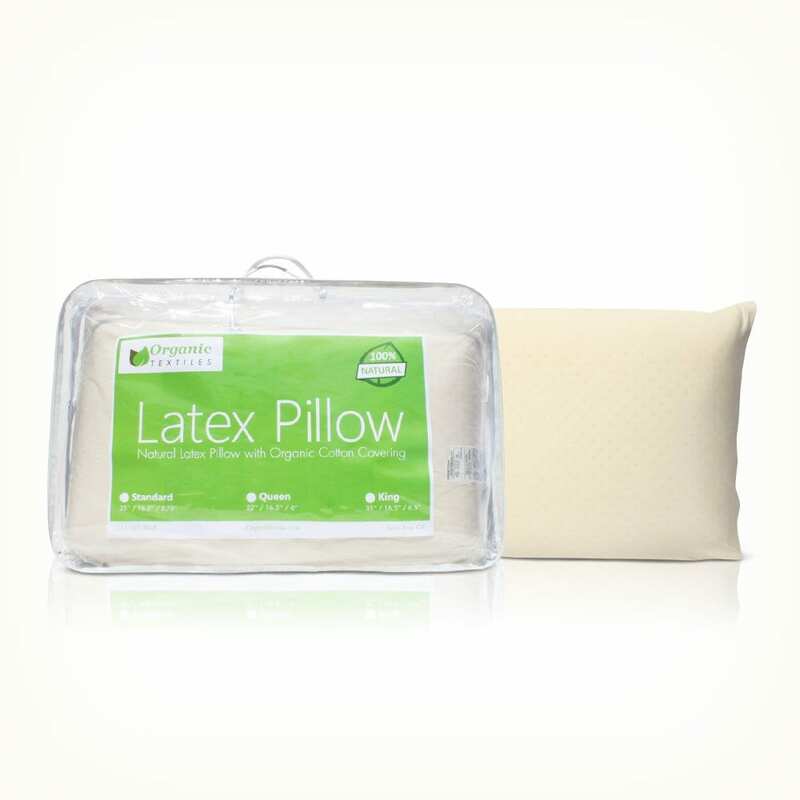 Another important benefit of latex pillows is that almost all of them are antimicrobial and hypoallergenic. The good thing is that natural latex deters dust mites, and you never need to worry about bacteria forming and causing potentially allergic reactions for people with allergy. Latex foam pillows are usually designed to hold their shape just like memory foam pillows. The difference, however, is that latex pillows perform this goal without sharing the shortcomings of memory foam pillows. In terms of resilience and durability, give it to latex pillows. Latex pillows usually hold their shape very well, and it does so for several years. 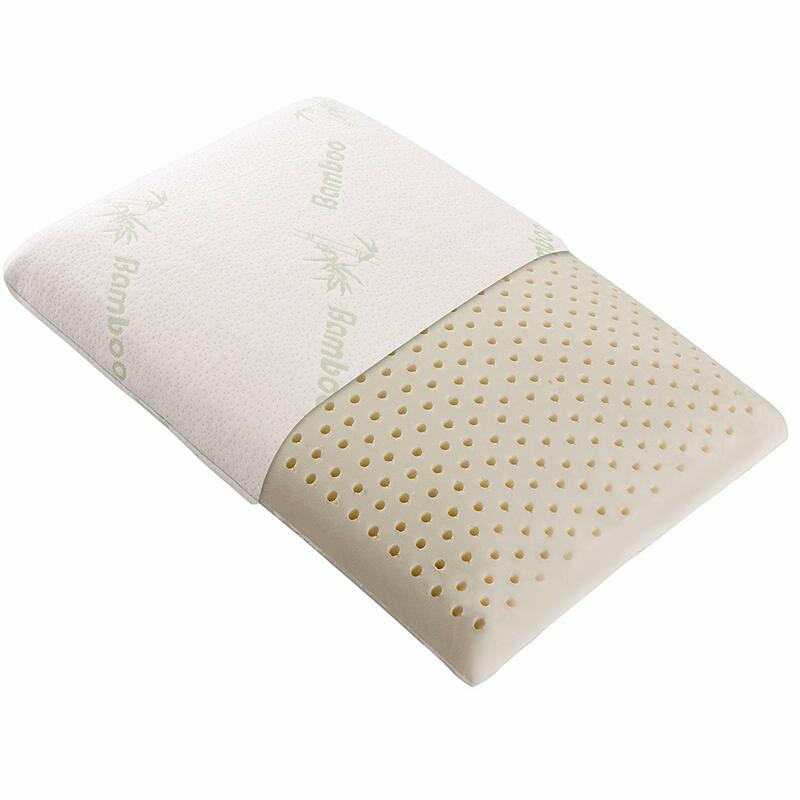 It does not require fluffing and often comes with ventilation holes that help keep your pillow cool and fresh. Latex pillows are usually of superior quality due to the fact that they are often made with natural materials. In fact, they are easily ranked among some of the highest quality and superior bedding products that have ever been produced. Thus, if you are looking for pillows that are eco-friendly, durable, hypoallergenic and comfortable, do not look elsewhere, just go for latex pillows. If you’re still in doubt on whether using latex pillows will work fine for you, it is time to have a general understanding of the advantages and disadvantages of latex pillows. This will help you make an informed decision on which product is best for you. Now, let’s review the general pros and cons of latex pillows and then compared one-piece and shredded latex. Responsiveness: Latex pillows offer excellent contour that comfort to your specific head and neck. They responded excellently to help align your back and head in the most comfortable ways possible. Bounce: This is natural with rubber. Latex pillows offer great bounce capability which allows them to pop back to their original shape immediately after use. It gives you a more consistent sense of loft and support. Low noise: Latex pillows are almost noiseless. This means that you will not disturb your partner if you make some movements while sleeping. Sleeping cool: Latex pillows are breathable, and as such, they promote airflow. Of course, they do not retain heat like memory foam and the rest. Long lifespan: Latex pillows are durable. They are well-built to last for several years. Latex pillows offer you real value for your money. High price tag: Latex pillows are often of top-notch quality, making them highly expensive. If they are made to meet organic standards like GOLS, Latex pillows tend to carry higher price tag than pillows made with other materials. Weight: Latex pillow by nature are heavy. It is generally heavier than other types of pillows filled with materials such as cotton, down, and polyester. For this reason, pillows made from latex materials can be heavier than other types. Fewer options: Although latex pillows are increasingly becoming popular in the market, they still come with fewer options compared to pillows made from other materials. Smell: Many customers have reported some noticeable smell. This happens immediately after opening and removing the product from its package. This smell doesn’t linger long, but it is usually there and the smell can be repulsive for some people. Latex pillows don’t work for everyone. 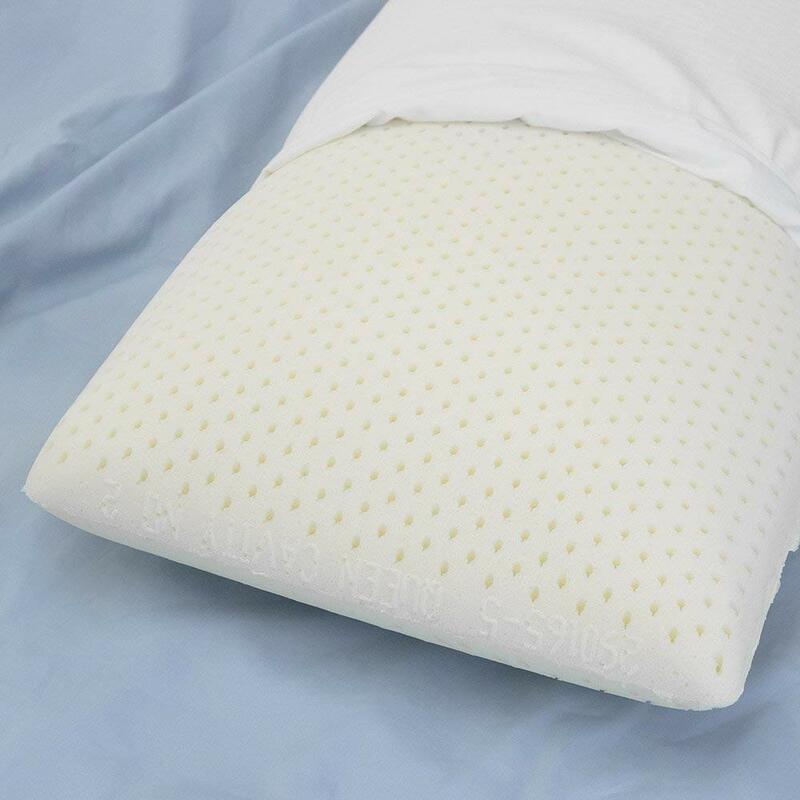 In case you’ve never used a latex pillow before, you may find it difficult determine which is suitable for you, if any at all. Now, let’s take a moment to discuss people who these pillows are well suited for. Side sleepers: If you’re a side sleeper, you may found latex pillows really appealing. This may be due to their loft and contouring. These pillows work tremendously well to adequate cushioning to the head and neck of side sleepers. More also, shredded latex pillows, mostly the adjustable ones, give you the opportunity to adjust the pillow to fit into the angle of a side sleeper. 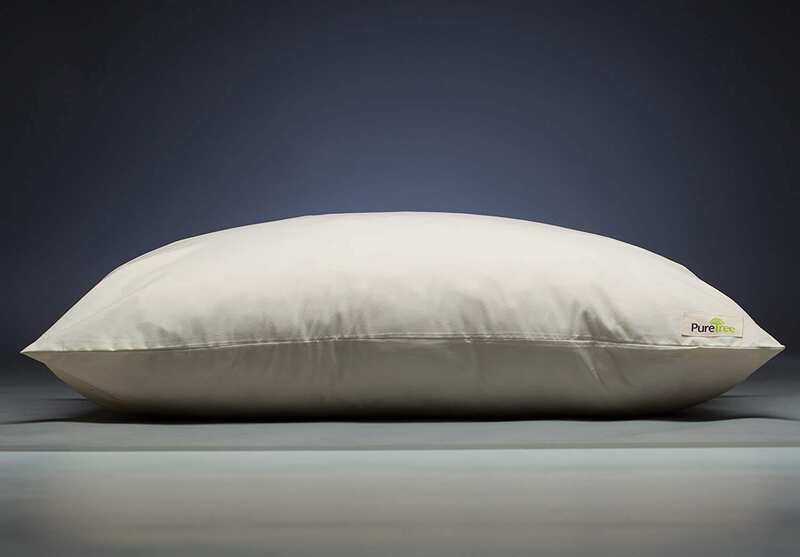 Back sleepers: Latex pillows can come handy for back sleepers as long as the loft is of moderate height. Latex pillow can work well to accommodate the neck of those who sleep on their back without excessive sinking into the pillow. Too much sink into the pillow can lead to an unnatural bend in the neck for back sleepers. Warm sleepers: Latex pillows are naturally breathable, meaning that they do not hold significant heat. Thus, a latex pillow can come handy for people who are concerned about overheating at night. Prefer consistent loft: Latex pillows, especially the single-piece latex, offer a great option for people who prefer consistent loft due to its resilience and heft. Sleep on their stomach: If you sleep on your stomach, latex pillows may not be the best option for you. of course, the extent of loft and firmness of latex pillows can too mountainous for stomach sleepers. A stomach sleep can experience too much bend in the neck if they use a latex pillow. Want a plush feel: Despite being a very comfortable material, latex pillows may not plush in the same way as memory foam. Both latex and memory foam are great materials for people looking for quality beddings. First, latex comes with tiny perforations or air vents that make them extremely breathable and allows you to dispel body heat and keep you cool. On the other hand, memory foam pillows run “hotter” than latex pillows. In the end, the two kinds of pillows can be considered as great products. They both provide exceptional support and are recommended to people with back, shoulder, or neck pain. Both pillows are durable as they tend to last for up to 3-4 years. Both latex and memory foam are dense and heavy, so they’re not suited for travelers. In the end, both are great products, it’s your preference that matters. Latex pillows are not meant to be machine-washed. 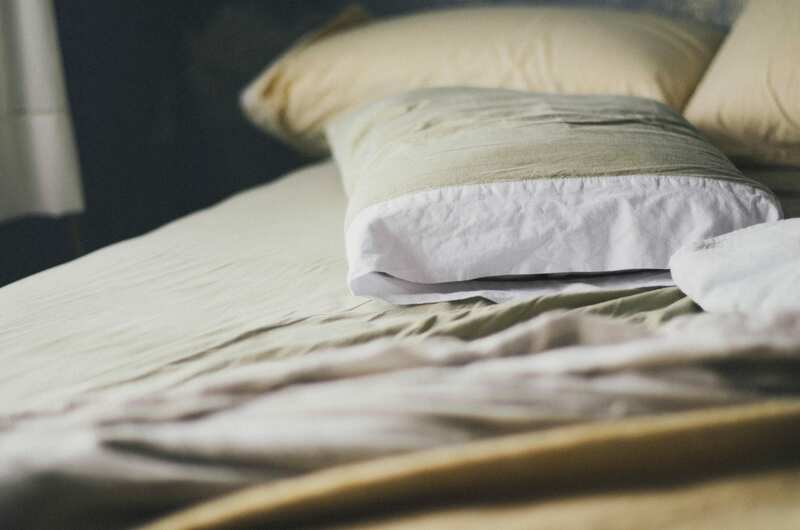 You should rather hand-wash your latex pillow in warm water with the use of a mild detergent. Then, allow it to dry at room temperature. You may see this as a disadvantage. It shouldn’t be, given the fact that latex pillows do not harbor allergens like other pillows. It should be noted that all the pillows reviewed on this page come with covers made either of cotton or a bamboo blend. So you can machine-wash the covers instead, while you hand-wash the pillow itself. If you have read this far, it means you have gotten all the information you need to make an informed decision concerning your choice of a latex pillow. Now the onus is on you to make the choice that perfectly suits your needs and preferences. All you need to do is to make sure you’re making the right choice from the onset. This will definitely help you to choose a pillow that you will be happy with for years to come without having to spend your hard earn money buying another one again because you’re not just satisfied with the first one. Just make sure you've made the right choice first time and start enjoying your new pillow for years to come.